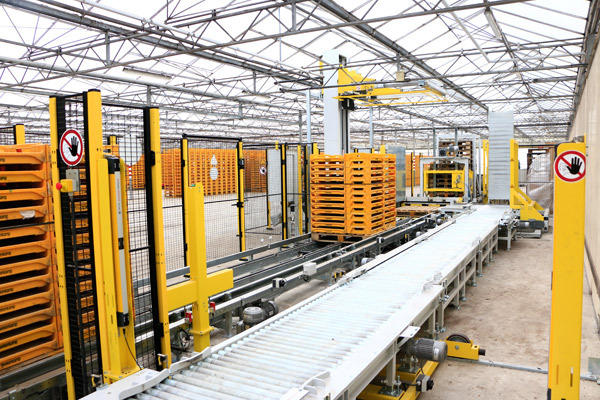 Visser’s fully automated palletising line is able to process a large variety of boxes and crates. 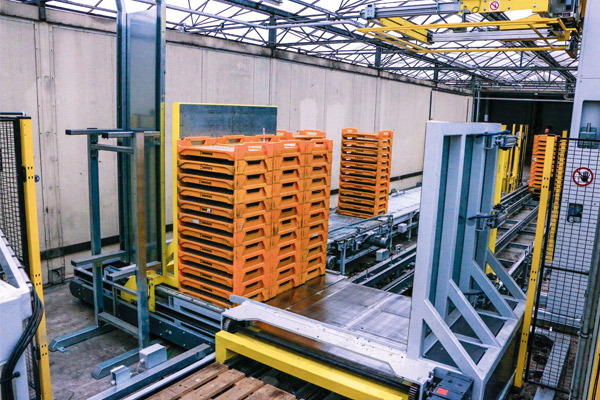 The palletising machine can be integrated with horizontal pallet strapping machines to provide stability for pallets during transport and storage. Fully automatic palletizing and strapping.